An effective therapeutic herbal formula that soothes many skin problems, including those normally associated with fleas. Contains no chemical pesticides. 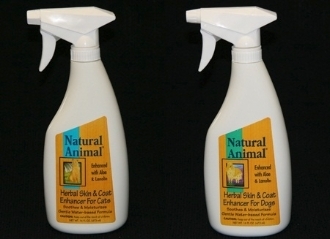 Available in a 16oz (473ml) Pistol Grip Spray Bottle. Ingredients: Purified Water, Orange Oil, Soap Plant, Sesame Oil, Lanolin, Walnut Leaf, Irish Moss, Aloe, Echinacea, Boric Acid, Oils of Citronella, Cedarwood, Eucalyptus and Bay, Extracts of Chamomile, Chickweed and Chrysanthemum.